Liposuction can provide a solution when stubborn fat pads defy diets and sports. “Problem zones” such as saddlebags on the hips or fat pads on the abdomen and the face can be harmoniously modeled by liposuction. Also the correction of dents is possible. The liposuction is performed as an outpatient procedure in local anesthesia. 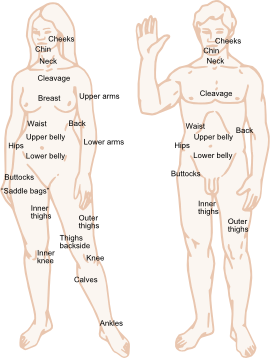 Whoever came up with the idea of describing an unwanted fat pad on the abdomen, buttocks, or hips as a “problem zone” invented an expression which will find a permanent place in the English vocabulary. From a biological point of view, the “problem zone” is no vital problem at all in many cases. It is simply an individual type of fat distribution, like a large nose or freckles as characteristics of an individual person. However, this does not mean that the zone in question cannot be a genuine problem for those affected. The problem zone is stubborn and usually defies all attempts to take it on with diets and sport. So, what can we do about the “problem zone”? Liposuction – What Is Possible, and What Is Not? Liposuction can help when all other attempts at reducing stubborn fat pads do not work, and in particular, when they withstand diets and sporting activities. 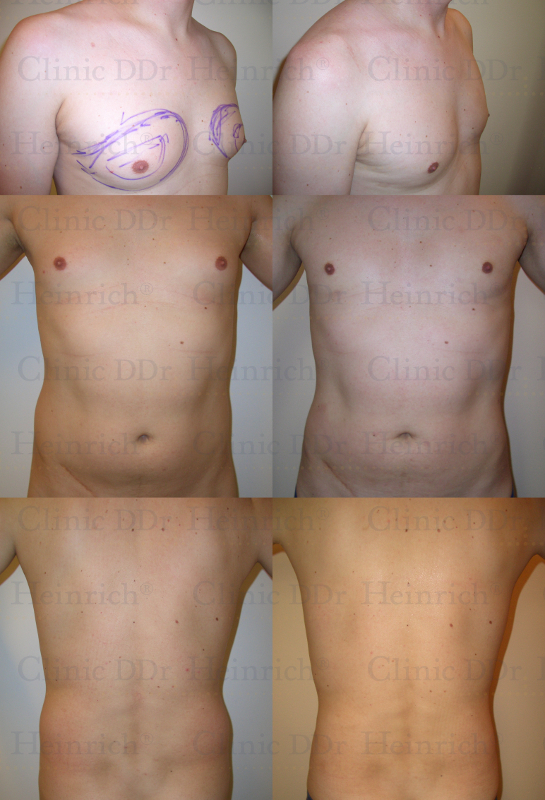 “Problem zones” can be permanently removed by liposuction. Your body gets a new shape and can be modeled in a gentle way. Dents or irregularities can also be treated. Liposuction is carried out using different methods. For a medical layperson, differences in quality between the different methods are usually hard to assess. 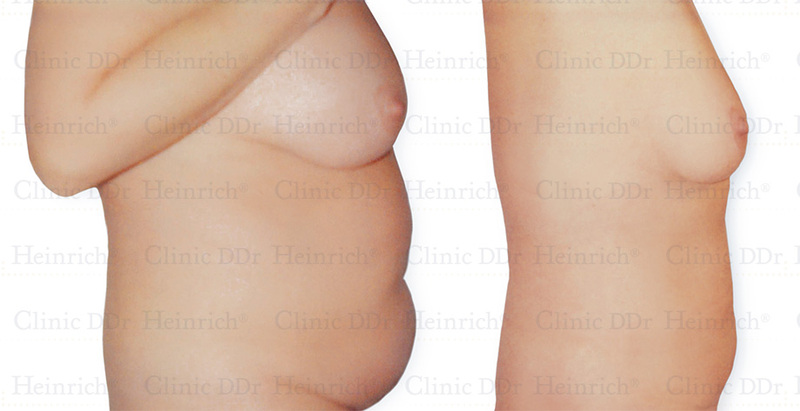 We provide liposculpture treatment, which is a particularly gentle type of liposuction. 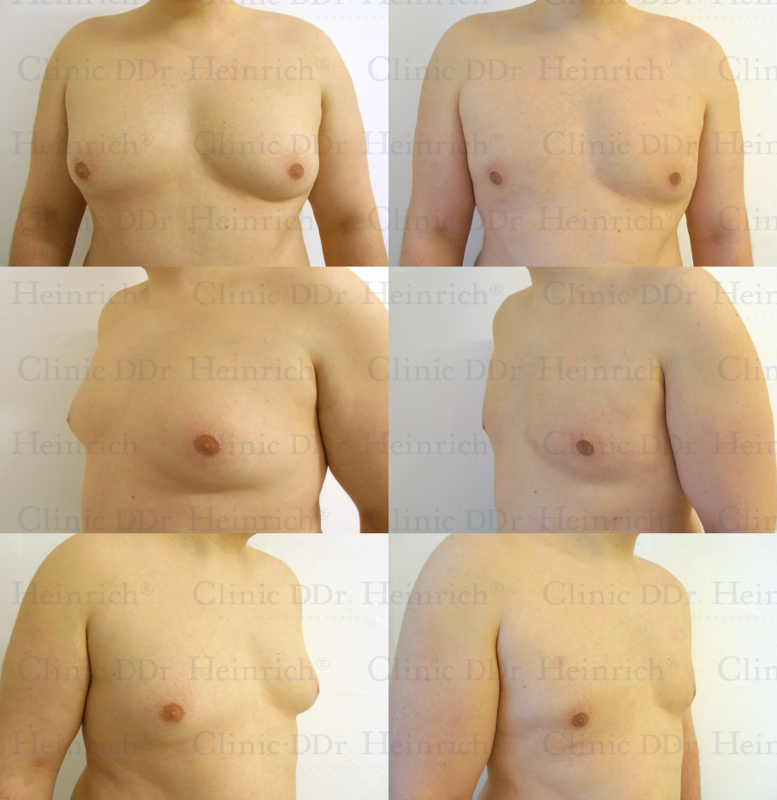 The liposuction procedure we carry out is known as liposculpture. This procedure is performed completely manually without using automatic suction equipment, which is supposed to destroy the fat tissue before extraction (e.g., ultrasound, water jets). We do not use scalpels or general anesthesia to ensure that treatment is as gentle as possible. In contrast to standard machine liposuction, liposculpture is characterized by gentle methods using suction syringes, exclusively with local anesthesia (tumescent anesthesia). In order that your silhouette looks good in all positions, your body will be formed when lying down and also when standing. Optionally, liposuction can be either carried out with microcannulas having a diameter of 1.0 to 2.5 millimeters or regular cannulas with a diameter of at least 3.0 millimeters. The thinner the cannulas are used, the more gentle liposuction can be performed. Surgery takes place on an outpatient basis and lasts approximately 1 to 3 hours on average. Afterwards, you will be fully mobile and will be discharged to go home. The procedure begins with a detailed medical consultation. All arguments for and against liposuction will be explained to you and should you decide to have liposuction performed, we will inform you which preliminary examinations are required. After you have obtained all the medical findings, you should have one or several further medical consultations and then schedule an appointment with us at a date of your choice. At the beginning of the day of surgery, another consultation takes place with the physician. When all formalities have been settled, photographic documentation is prepared and the areas where liposuction should be performed are marked on your body. If necessary, you will be given a light sedative to help you relax. You will then go into the operating room where a local anesthetic is injected (tumescent anesthesia). Whilst this is taking effect, you can rest until the actual liposuction begins. Most patients compare liposuction with a tingling feeling like it is felt during a vigorous massage. In order that your silhouette can be formed in the best possible way, liposuction is carried out when you are standing and lying down. After liposuction, absorbent towels will be wrapped around you, as the fluid used for local anesthesia will seep out of your body. These towels will be fixed with a bandage. On the day after surgery, remove the bandage and use the compression garments. If liposuction was carried out with microcannulas, you should wear the compression garments for approximately 1 week; if regular cannulas were used, they should usually be worn for approximately 4 to 6 weeks. Check-up appointments will be scheduled on an individual basis. You can contact us around the clock in order to provide you with the best possible post-surgery care!